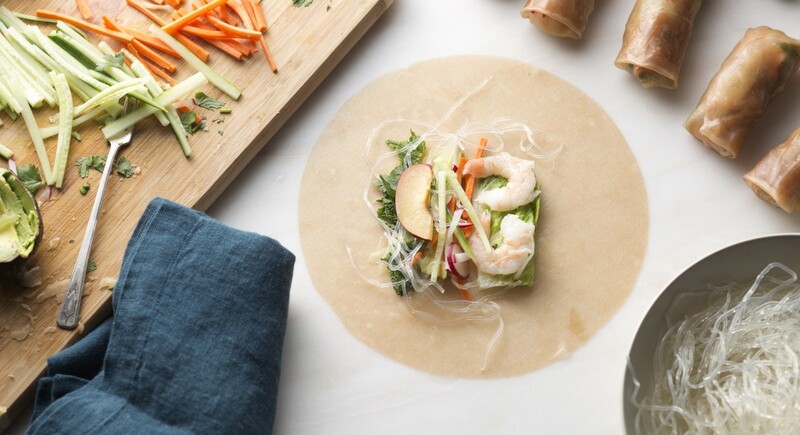 On a hot summer day, there's nothing more satisfying than a fresh spring roll filled with seasonal vegetables and seafood. 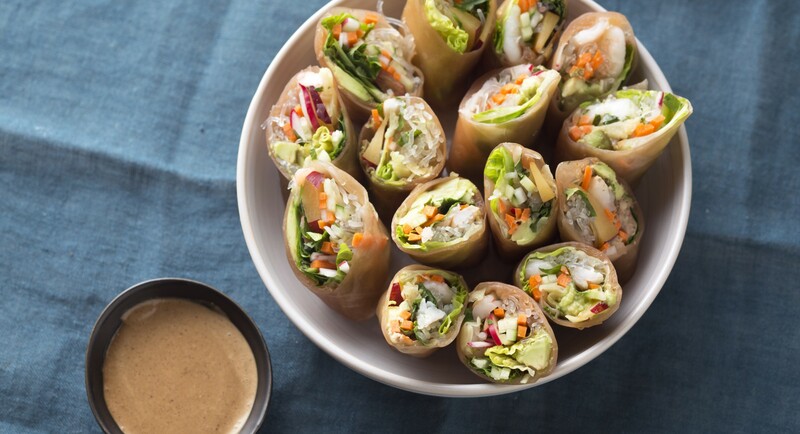 A sweet dipping sauce made with almond butter and fresh ginger takes things over the top. For the sauce, combine the almond butter, maple syrup, ginger, tamari, and tamarind paste in a bowl and whisk until smooth. 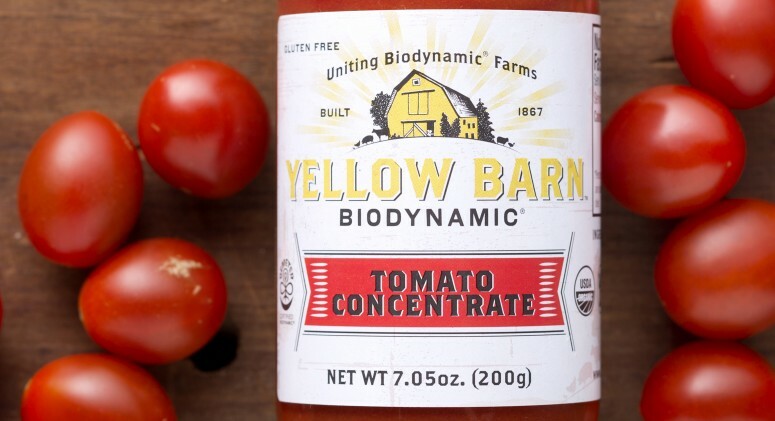 While whisking, slowly pour in water until the sauce reaches desired consistency. Fill a wide bowl with warm water. Soak a brown rice paper in the water until soft, 10 seconds. 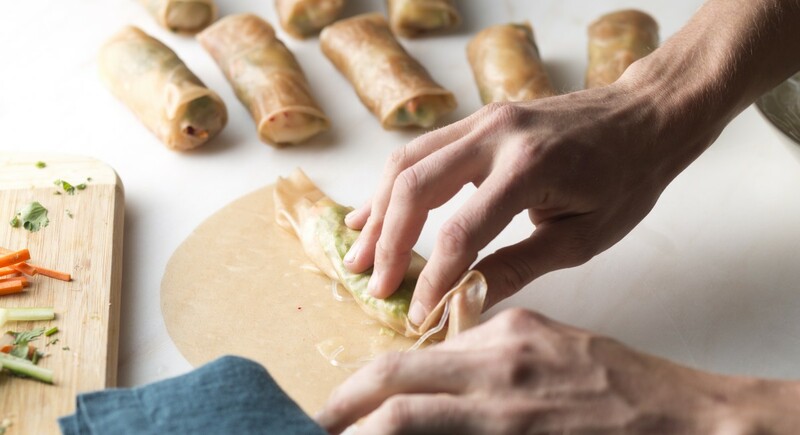 Working quickly, place the paper on a cutting board and in the center layer a piece of lettuce, 2 shrimp halves, and a small amount of kelp noodles, radish, plum, carrot, and avocado. Top with a few mint and cilantro leaves, leaving 1 inch on either side and several on the top and bottom, taking care not to overfill the wrap. 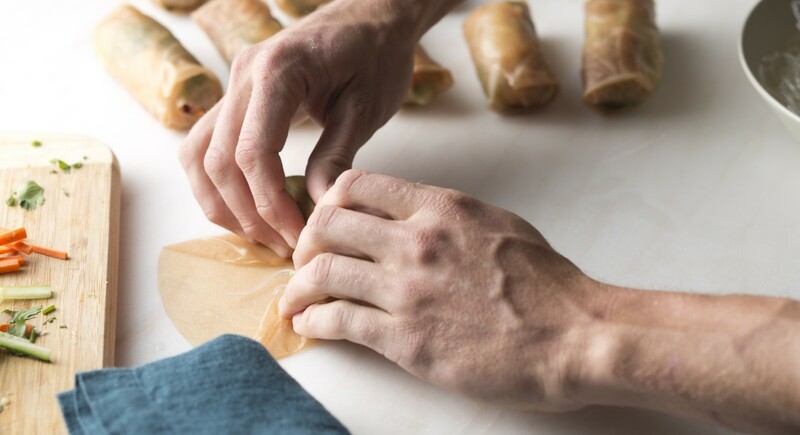 To roll, fold the bottom of the rice paper over the filling, then roll slightly forward, folding the left and right sides inward, then rolling to close. 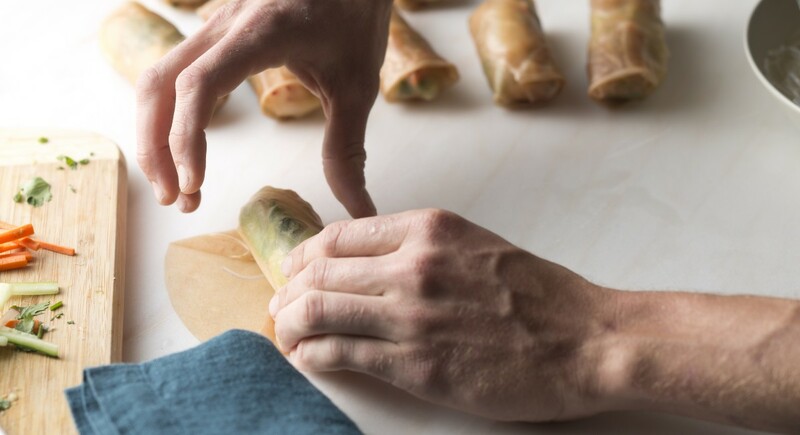 Repeat with additional rice paper and filling for the additional 11 spring rolls. 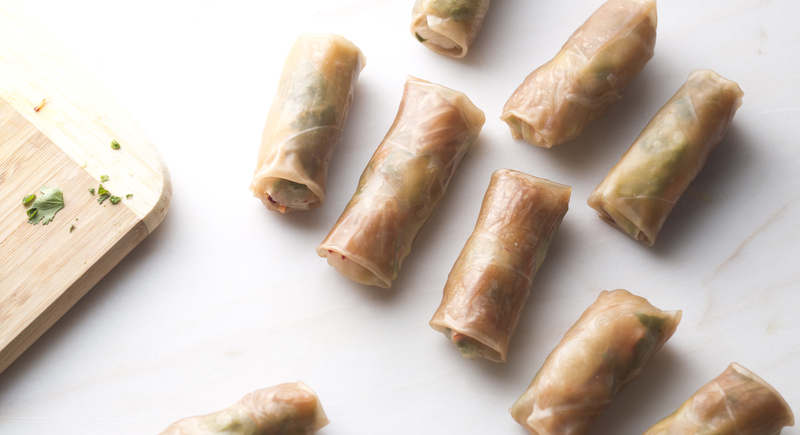 Serve immediately with dipping sauce on side.